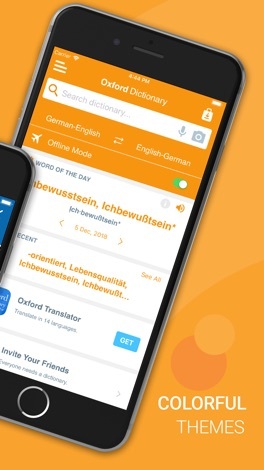 Oxford German Dictionary provides complete and accurate coverage of both German and English languages. 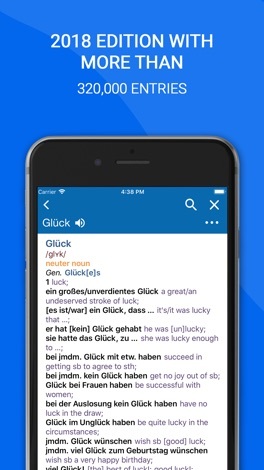 Invaluable cultural notes are included, to help language professionals and students at all levels learn more about the life in German-speaking and English-speaking countries. 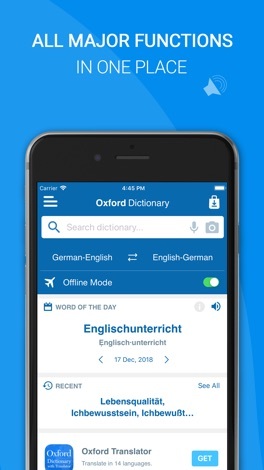 As one of the flagship products in the Oxford University Press catalog of dictionaries, the app features learning tools designed by a vastly experienced developer. 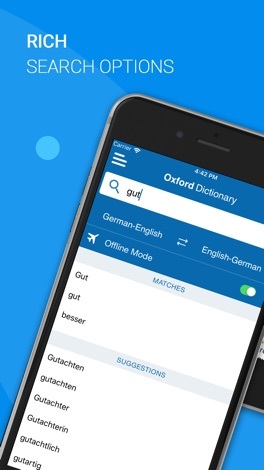 WHAT MAKES OXFORD DICTIONARY OF GERMAN BETTER THAN OTHER DICTIONARIES? • The latest vocabulary (2018 edition), 320,000 words and phrases, alongside 520,000 translations. • Comprehensive guidance on pronunciation, vowel length, and syllable stress, as well as clear distinctions between pre-reform spellings and new preferred forms. • Essential grammatical information and language usage notes are provided for both languages. 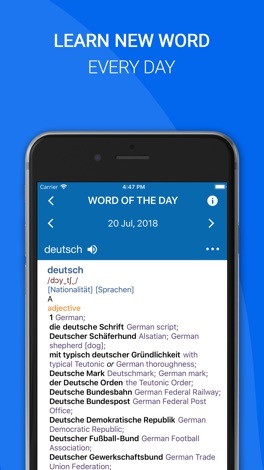 • Audio pronunciation - Learn words faster with the integrated pronunciations. • Offline mode - Save words on your device and view them without internet connection. • Priority support - Get support with priority for any app-related issues. 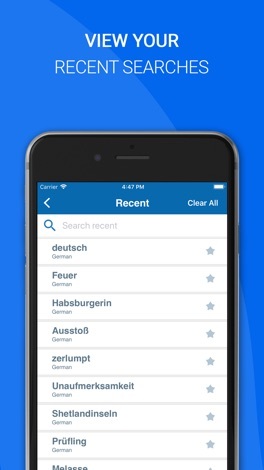 • No ads – Enjoy an ad-free learning experience. Premium Subscription is available for $14.99/year. The Premium Subscription includes a free trial. After the trial period expires you will be charged for yearly subscription though your Apple ID account. Any unused portion of the free trial period will be forfeited when you purchase the subscription. Your subscription will automatically renew unless canceled at least 24 hours before the end of the subscription period. You can manage your subscription through your Account Settings. Order food online in Pontypridd! It's so easy to use, fast and convenient. Try our new, online website which contains our entire takeaway menu. The MCDONER'S is located in Pontypridd You can now order online, all your favourite dishes and many more delicious options, and have them delivered straight to your door in no time at all.